David Kane had never played keyboard quite like this. Sure, the 53-year-old musician and composer had experienced his share of cramped recording studios and poorly tuned pianos during his 37-year career. But those inconveniences paled in comparison to this session. Kane lay prostrate in an MRI tube, with a miniature electronic keyboard perched on his knees. He relied on a set of mirrors to visualize his fingers on the keys. “Physically, it wasn’t too uncomfortable,” he jokes today, “but for my creative space, it was horrible.” Kane, though, persevered and played some jazz, in the name of music—and science. For right outside the MRI machine, scientist Charles Limb stared intently at a computer monitor, observing Kane’s brain activity as he played a combination of pre-written and improvised melodies. Limb’s goal? No less than trying to unravel the secrets of human creativity. Answering those questions appears daunting, as creativity may be the most enigmatic component of the human brain. But with the aid of sensitive imaging equipment, Limb and his collaborator Allen R. Braun at the National Institutes of Health have started gathering some tantalizing clues about the mind’s creative process. Three-dimensional surface projection of activations and deactivations associated with improvisation during jazz. A talented saxophonist—he directed a jazz band while an undergraduate at Harvard and played at local restaurants during medical school at Yale—Limb is also a composer, studio engineer, music historian, and collector (with an instrument library that includes a Rhodes piano and a Chapman stick). In his rare free time away from his cochlear implant surgeries and family life, Limb shares his passion for music by writing magazine articles and speaking at symposia, on topics ranging from the potential damage of loud music on hearing, to Thomas Edison‘s ability to invent a phonograph in spite of his deafness. In the halls of Peabody however, Limb focuses on the rational side of music. For the past three years, he has been an adjunct professor in the Computer Music Department, a discipline that explores the intersection of music, humans, and machine. Limb offers seminar courses on how researchers use computers to understand the role of the brain in music perception and production. 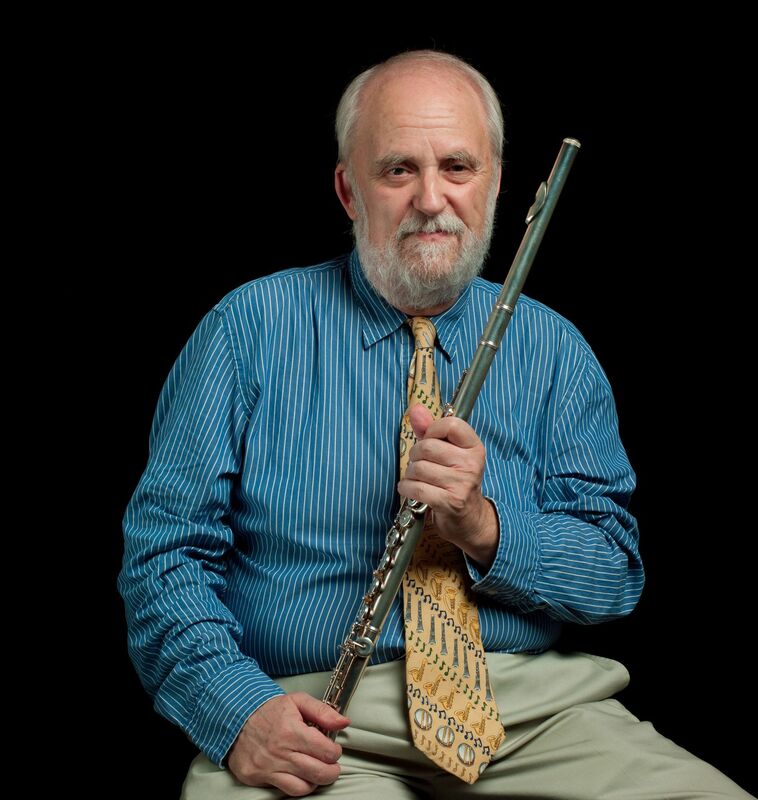 Limb also uses his Peabody connections to tap music students to join his lab at the Medical Institutions, a lab that also includes Hopkins students from otolaryngology and neuroscience. The mix offers a diverse range of expertise for looking into the neural basis of music. 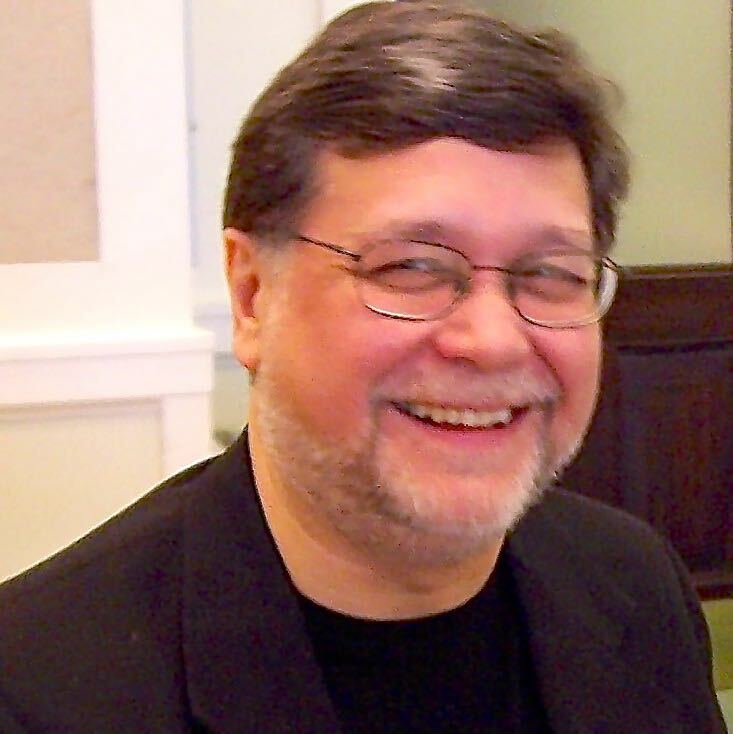 Limb’s work in the area began in 2003 after he took a fellowship with Braun at the National Institute on Deafness and Other Communication Disorders (NIDCD). Braun’s lab was using functional magnetic resonance imaging (fMRI) to track how the brain processes language and how disorders like stroke disrupt speech. “That led me to think that we could use this same approach to study people while they were doing musical things,” Limb says. The pair of jazz-loving scientists then tackled a more ambitious plan. 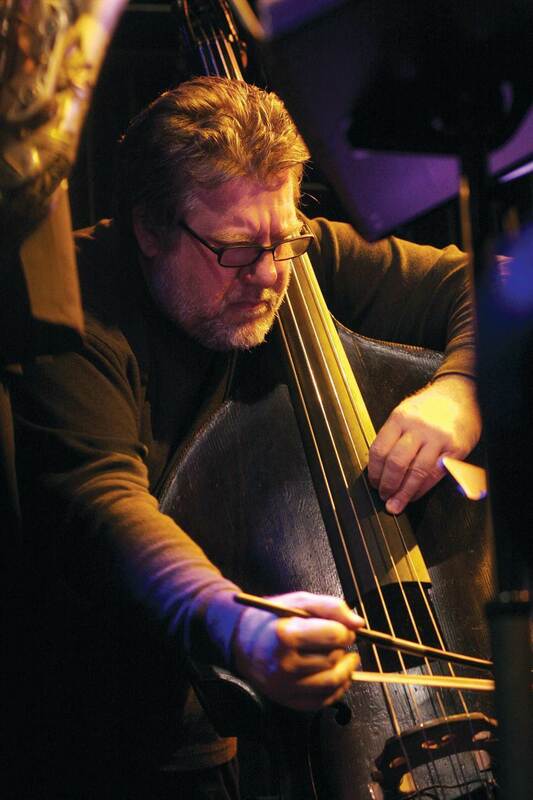 From its long, impromptu riffs to the tradition of “trading fours,” jazz has long been synonymous with improvisation. While other studies had focused on what happens in the brain when a person listens to music, few had looked at brain activity when music is being spontaneously composed. 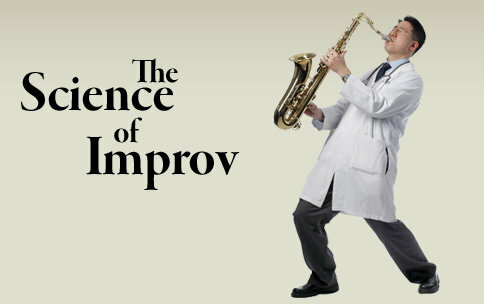 So, they figured, why not try to analyze jazz improvisation? Admittedly, the logistics were daunting. Limb and Braun needed to figure out how to get a musician to play an instrument containing no magnetic parts while lying inside a cramped MRI tube. They overcame the technical issue with the help of a California engineer who custom-designed a miniature, non-magnetic keyboard and a system of mirrors so the player could see the modified keyboard resting on his knees. Through his connections at Peabody and the Baltimore-D.C. jazz community, Limb then found six trained jazz pianists, including Kane, who were willing to serve as volunteers. 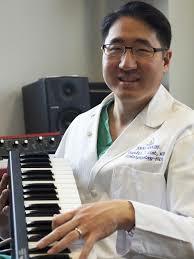 The musicians were asked to perform four different exercises while lying in the fMRI machine. First, they played the C-major scale. Then they were asked to improvise on the scale. Next, they played an original blues melody (composed by Limb) that they had memorized, with a pre-recorded jazz quartet playing in the background. Finally, they were set free to improvise their own tune with the same recorded quartet. When it came time to analyze the brain scans, Limb and Braun found strikingly similar patterns during improvisation—whether with the simple C scale or longer riffs with the jazz quartet. The brain turned off areas linked to self-monitoring and inhibition and turned on those that let self-expression flow. In addition, the brain regions involved with all the senses lit up during improvisation, indicating a heightened state of awareness—the performers literally taste, smell, and feel the air around them. Most fascinating about this aspect of the scans was their uncanny similarity to patterns seen during deep REM sleep, creating a tantalizing notion of a connection between improvisation and dreaming. 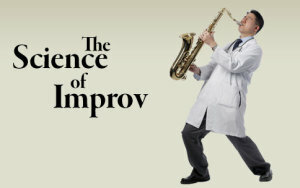 As seen below, Limb’s studies showed that during improv, the brain deactivates the area involved in self-monitoring while cranking up the region linked with self-expression. Of course, these results naturally resonated with trained musicians like Kane and Michael Formanek, professor of Jazz Studies at Peabody and an improviser. 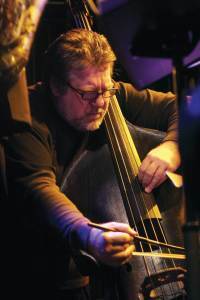 “When I start improvising, I definitely feel like I’m ‘going into a zone,’ so to speak, getting to a place where I’m not actively thinking about notes and rhythm but rather just taking in what’s around me,” says Formanek. Limb is not shy about discussing the potential for such studies in his seminar courses. His goal: to excite and invigorate the next generation (of musicians and non-musicians alike) to pursue such questions. 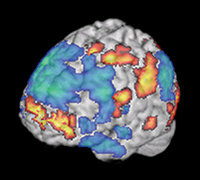 Functional imaging of music could have practical applications as well. As a cochlear surgeon, Limb envisions designing a music-based hearing test sensitive enough to detect hearing loss at its earliest stages, or to detect minor auditory defects that standard tests may miss. Such a diagnostic may be especially useful to assess deafness in young children or people recovering from strokes—those who have trouble communicating and thus cannot respond to standard tests. Ultimately, says Limb, the imaging studies that he and Braun are pursuing can be extended to art forms that emphasize other senses, such as writing or painting, to compare brain activities and see if spontaneity can somehow be generalized. Gaining such knowledge will have broad implications, he notes, since improvisation isn’t limited to the arts; it’s an integral part of daily life.